Kohort logo. From Kohort Twitter. It’s a blessing since your loved ones are within your reach, no matter which part of the world they live in. This convenience is one of the many reasons social media has blown up. Accessibility is a double-edged sword, however; which is the curse. No matter how careful you are, you’ll still have to deal with cyber bullies, invasion of privacy, well-disguised viruses and more. This is where Kohort enters the picture. 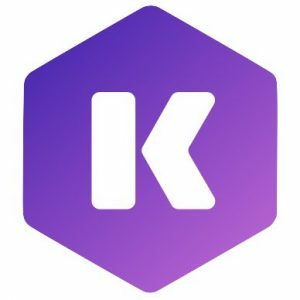 Set to launch in Android and iOS app stores in February 2019, Kohort is a social network making privacy their priority. Their policy is simple: “your data is yours alone.” So no, you will not be bombarded with questionnaires about your interests, friends, preferences or personal data. Kohort does not spam you with advertisements, either. So how do they make any money? Advanced users are charged a nominal subscription fee of $1 a month. Since their subscription model is freemium, a certain amount of usage is free. With Kohort, you don’t interact with people unfamiliar to you. You connect with people you know in real life, like friends, family, clubs and what not. Plus, it doesn’t have features like “follow” or “like”. So, it’s a social media network made to interact with your social circles. Kohort protects your privacy and your mental health, all for $1 a month.